Congratulations for the feature of your artwork on the homepage of Greeting Cards For All Occasions 6-3-16, liked! If a June Bug can be cute, this is it. Spectacular shot! Thank you Teresa for the vote and fave! Thank you Tautvydas! Much appreciated for your comments! Thank you Ms. Judi for featuring my "JuneBug" in the group Spot the Color! 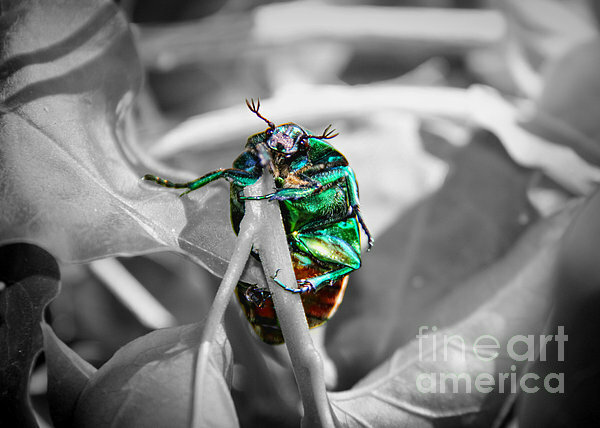 Thank you Sandi Muminovic for featuring my "JuneBug" in the group Beauty of this World! 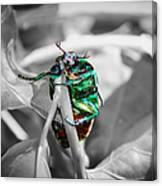 Thank you Jose Lopez for featuring my "JuneBug" in the group Stop time with art! I hate these bugs!!! They chew on my roses, cherry trees and grapes. That being said, nice job on the selective color, Mariola. Vote. 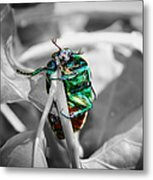 Thank you Maria Wall for featuring my "JuneBug" in the group The Photographers Cafe! Thank you Michael! I agree, I haven't seen one of these beetles in a long time! This one originally landed on my purse and I transported him to a nearby plant, where I managed to catch this shot. Thank you for viewing my artwork! This is a Cotinis mutabilis, or a Junebug beetle (also known as figeater beetle or green fruit beetle). Note: If an image has the FAA watermark in the lower right hand corner it will NOT appear on any print you purchase. All artworks are originals by the artist and as such are protected by Us and International Copyright Laws.All rights reserved.